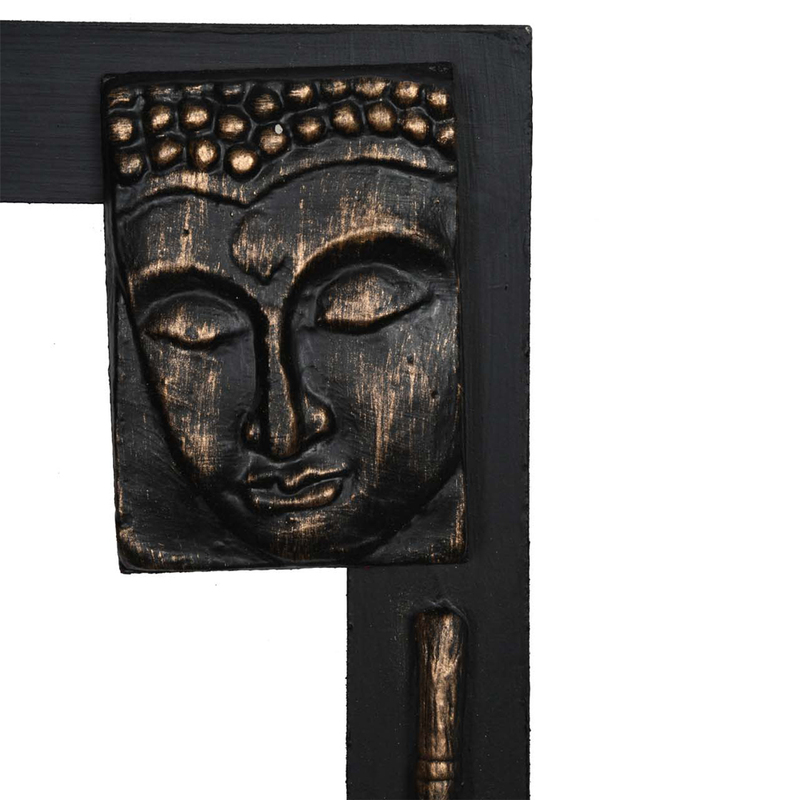 Made from Wood & having paper mache work on it, the black coloured Buddha faced key hanger is the excellent example of skilled craftsmanship. Buy this online to make your guests awe! If you fix this epic piece of artistry on your wall you can make your guest overwhelmed with its eloquent beauty. Square in shape but Read More..the minute craftsmanship on it truly makes you awe. 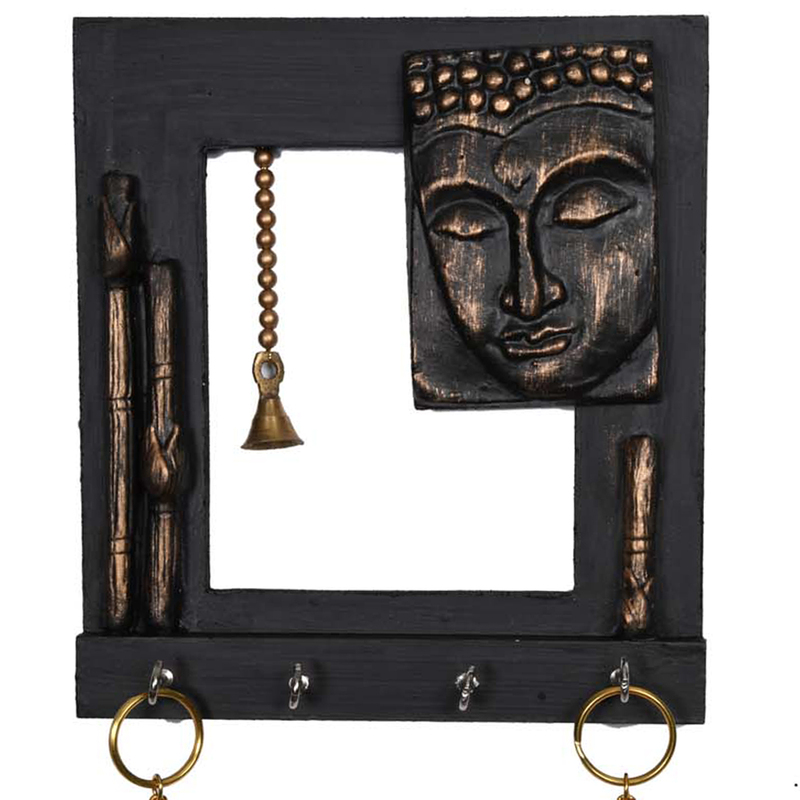 The perfect blend of splash of golden on the pitch black canvas creates the ultimate vivacity. Made from the Wood, this key hanger will give you four individual hanging provisions. 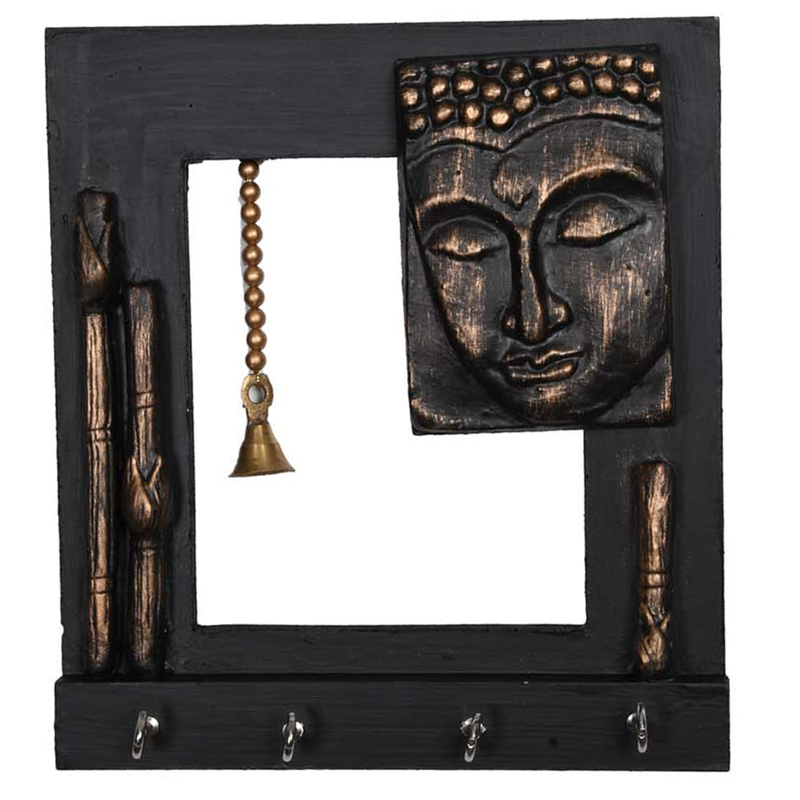 Fix it at the entrance of your dwell & strike the concept of your guest who considers key hanger as interior blunder. It’s the time! Buy it & enjoy it! Show Less..